I just finished my second google plasmoid which is part of my bachelor’s thesis. 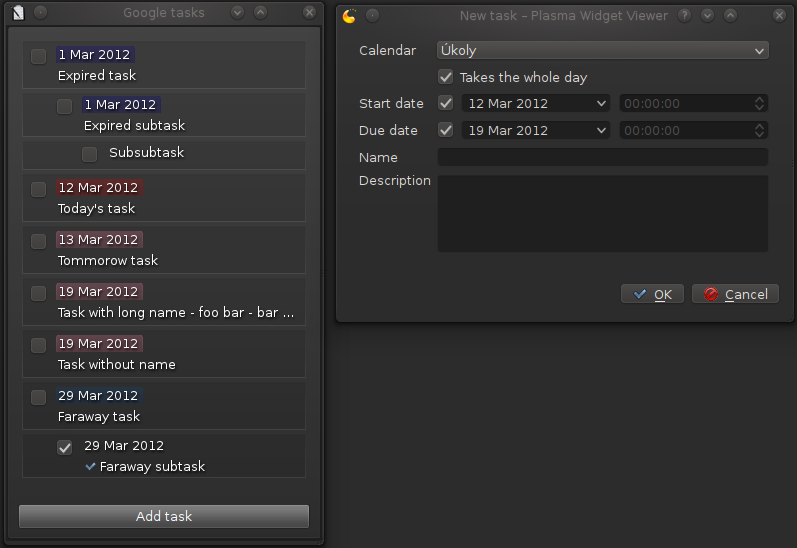 It’s a plasmoid for displaying your tasks from your google account and you need for that Akonadi-google resources. I tried to make this plasmoid useful. It is not only for displaying your task but you can mark tasks as completed or simply add new tasks and you also can edit your existing tasks. If you don’t like default colors for tasks or tasks order, you can simply change it from appearance properties of this plasmoid. You can get it from my KDE git repository where you can find my first google contact plasmoid. If you like this plasmoid I will be happy and I will be also happy if you tell me about some bugs. If you are fetching data from akonadi, why the restriction to google accounts? I principle it could support any collection that has tasks in it, right? Because it’s my bachelor’s thesis and this plasmoids should be only for google. 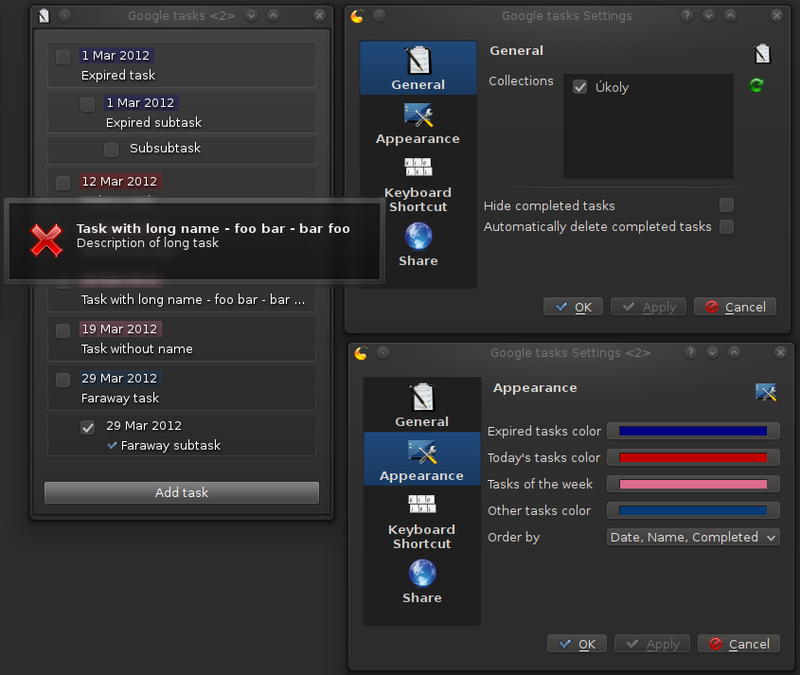 But you have right it could support any tasks collections and it’s simply to change it.